A fire that destroyed an apartment in the building at 8900 E. U.S. 24 has renewed calls for the revitalization of the 24 Highway corridor, which leads visitors from around the world from Interstate 435 to the Harry S. Truman Presidential Library. Four fire trucks responded to the blaze of August 9, as flames were seen shooting six feet in the air. The building, located across the street from the iconic Inter-City Bait & Tackle, began as a grocery store and in the 1960s and 1970s was run as a tavern. An industrial garage was later added. “This area looks more like Detroit every day,” commented a resident, pointing out the yellow fire line tape which still surrounds the building more than a month after the blaze. He added, “The building wasn’t much to look at before the fire,” calling it typical of the vacant and run-down commercial properties that dot this section of the highway system that Harry Truman helped create. In 2004, the Cities of Independence and Sugar Creek began a comprehensive study on the roadway’s potential and in 2006 issued a report called the US 24 Highway Corridor Study Plan. This study identified many of the problems that were keeping this area economically depressed, and outlined several long-term solutions to revitalize the area. Some of the solutions suggested in the report are in the works, such as the expansion of the 353 Tax Abatement, a program that rewards home and business owners for improving their buildings (see Page 5). Many of the report’s other suggested strategies fell by the wayside after the financial crisis of 2008 and the recession that followed. Independence Mayor Weir has promised to make the revitalization of western Independence a priority. 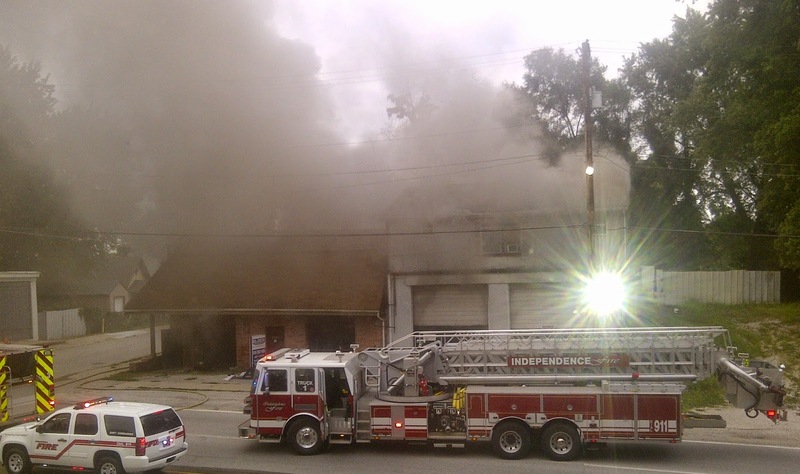 The building that burned has been listed for sale with Block Real Estate Services, LLC. 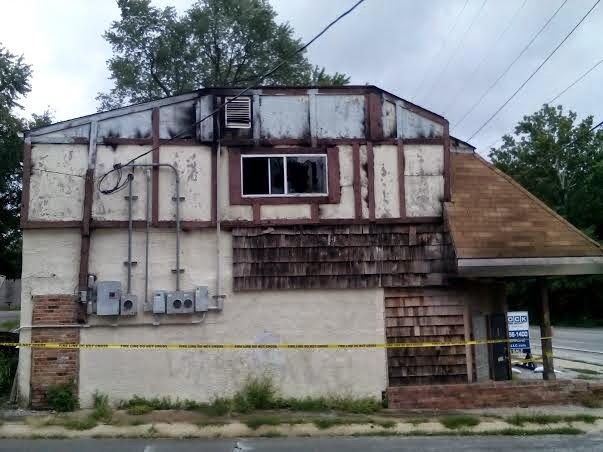 According to a Block Real Estate representative the property remains for sale, but the price of the 5,600 square foot building and lots is undetermined at the moment, pending negotiations between the building’s owner and insurance company. Visit the Block Real Estate website at blockllc.com if you are interested in purchasing this site for future development.